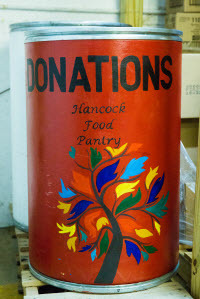 The Hancock County Food Pantry welcomes donations of money because each dollar donated has the buying power of $5 – $7 due to the sourcing of the food available to us. Help the Hancock County Food Pantry serve the community and those less fortunate. Learn about the latest happenings at the Hancock County Food Pantry.